The draw for the knockout stages of the inaugural WSF Championships has been made today in Malta. 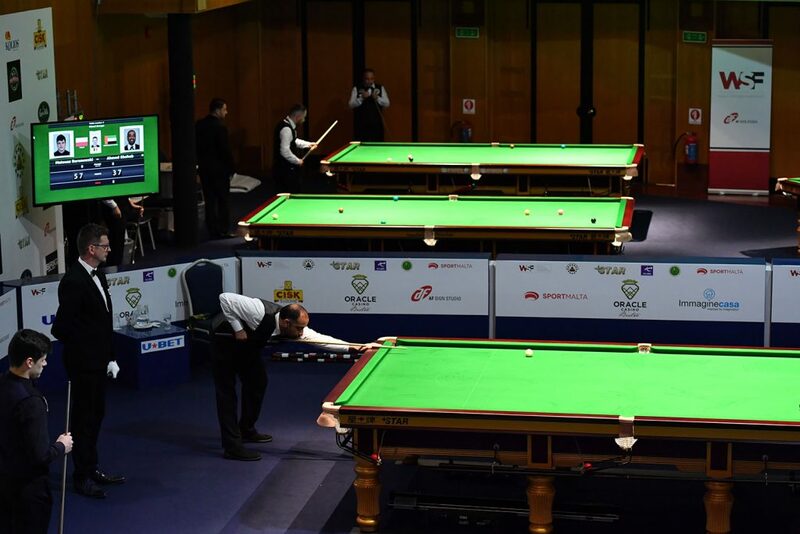 Following the conclusion of the final round robin group matches on Wednesday morning, the initial 90-strong field has been reduced to 54 players all looking to take home the winner’s trophy and earn their place on the World Snooker Tour. From 18 groups, three players have progressed from each with the ‘best’ group winners seeded straight through to Thursday’s last 32. The remaining 44 players will play this evening across two sessions to determine who will join them with three days of the tournament remaining. Among those to progress, four players (Adam Stefanow, Kevin Hanssens, David Lilley and Ross Vallance) did so without the loss of a frame, while a further four including WSF Seniors Champion Igor Figueiredo of Brazil did so just losing a single frame. 11-time world women’s snooker champion Reanne Evans ensured that there would be a female presence in the draw at the landmark mixed gender event by winning her two matches on Tuesday to come through her group. She will now face Welshman Kishan Hirani, who earlier in the day ended the qualification hopes of another female player, England’s Rebecca Kenna. There were six century breaks scored during the group stages, with a run of 131 set by Igor Figueiredo’s currently leading the race. The winner of the tournament will earn a top prize of €10,000, as well as a two-year tour card for the World Snooker Tour. The four semi-finalists will also qualify to play at next month’s professional World Championship qualifiers in Sheffield.